In The Tipping Point: How Little Things Can Make a Big Difference (New York: Little Brown, 2000), Malcolm Gladwell explores the “stickiness factor”—the quality that makes people take notice and then, amid many other choices and distractions, keep paying attention to a product, person or idea. What makes something or someone “sticky” can be hard to pin down. But even more mysterious is when something sticky eventually fades away then resurfaces to again capture peoples’ attention, decades or even centuries later! For example, the notion of “a thin place”—a place where the divide between heaven and earth (or the divine and the earthly) feels less marked—was popular in Celtic spirituality in the Early Middle Ages. But it’s a concept that resounds with many people, even today. If you’ve come across this term before, you’ll know that Iona, Scotland, is the textbook example of a thin place. That island is where Christianity came to Scotland. It’s the site of an ancient monastery where St. Columba—who has one of the earliest recorded references to a “thin place”—served as an abbot. It’s a piece of land fought over by clans, then invaded by Vikings and Norwegians. But it’s not these historical notes that secured Iona’s status as a thin place. It’s the experience of standing on Iona, near the rebuilt monastery, with the wind blowing in your face, encircled by the Atlantic Ocean and rocky hills. It’s about the moment your breath catches and you feel God’s presence more than you can feel the spongy fields beneath your feet. Beyond Iona, there doesn’t seem to be much consensus about other thin places. Various writers have referred to an experience of the divine (or otherworldly) upon viewing Da Vinci’s painting The Last Supper, when visiting the countries where their ancestors lived, witnessing the birth of a baby, even during a heartfelt conversation with a stranger on a crowded city bus. What a heartening lack of consensus! It’s just as the Bible says: God is always with us, even when we don’t realize it. The fact that St. Columba, who died in 597 ce, referred to a thin place suggests that it’s not just in our bustling, beeping, ringing time that people need a reminder of God’s presence. Indeed, the Bible shows us that our ancestors struggled with keeping their focus on God. In the Bible study resource in this issue, Roula Alkhouri recounts just a few of the instances where God reminds God’s people whose they are. Over time, our ancestors developed spiritual practices and faith practices that would remind us whose we are and enable us to dwell in the wonder and warmth of that truth. This issue explores just a few of those practices—mindsets and movements that were once frequent, but perhaps gathered some dust only to be rediscovered as still valuable. Tim Stead reflects on how Christian spirituality can be strengthened by mindfulness, a practice often associated with Buddhism. In Soon Chi describes a mass baptism—a common occurrence, as the disciples converted early Christians, that is part of the Christian Korean story, but one that many North American Christians have not experienced. 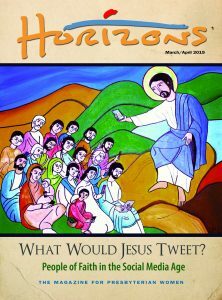 Throughout this issue, you’ll hear about many small ways that individuals and churches can use ancient practices today on their faith journeys. In Soon Chi reflects on the baptism of thousands at a military base in Korea, noting the ways the sacrament on a grand scale has been part of the Christian tradition in its early days and part of the way Christianity took root in Korea. 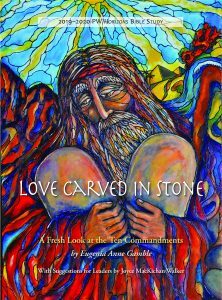 Leslie Scanlon highlights ancient practices that congregations in the PC(USA) have incorporated in order to grow closer to God and includes insights about particular ways the disciplines have strengthened and deepened individuals’ relationships with God. 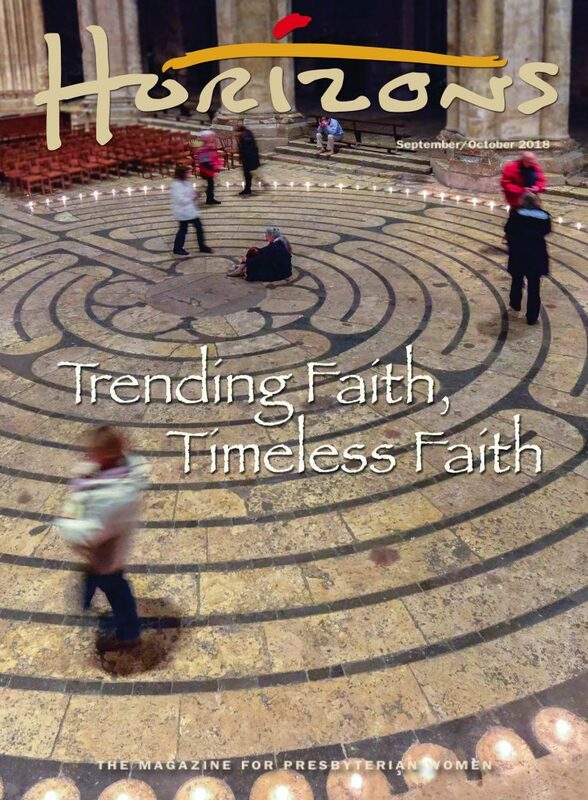 Labyrinth: A Christian Spiritual Tool or New Age Gimmick? Kristine Haig explores the tradition of labyrinths, assuring readers that they’ll never be lost in the labyrinth, only drawn deeper into wisdom. For the times when a walking labyrinth is not available, try the discipline with a finger labyrinth and questions for reflection. Susan Jackson Dowd celebrates the timeless witness of Presbyterian women. Read to rejoice in all that has been made possible and been seeded in our 30 years as Presbyterian Women, which continues the tradition of almost 230 years as women in the Presbyterian Church. Roula Alkhouri offers reflections and questions for use in studying Lessons Three and Four of the 2018–2019 PW/Horizons Bible study, God’s Promise: I Am with You by Amy Poling-Sutherlun.